Nationwide Challenge for Seniors is back! 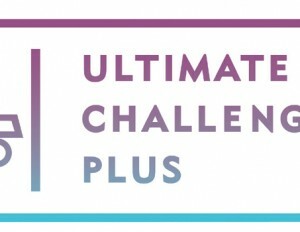 Ultimate Challenge Plus is a Brigade wide mental and physical competition for Seniors. Participants will compete with others from across the UK & RoI without having to leave their hall, and there’s no need to use special, or expensive, equipment. All of the challenges have been designed so they can be completed either indoors or outdoors, with minimal equipment, and a hall which is large enough to run in. With the competition being on an individual basis, it means you can participate, even if there is only one Senior in your Company. Although if that is the case, why not see if you can join with another local Company and take part together, or use it as part of a Battalion Seniors’ event? The challenges are a mix of physical and mental challenges. The physical challenges will test speed, agility, endurance and core-strength, whilst the mental challenges test your knowledge and logical thinking skills. Each young person who participates will qualify for two Challenge Plus points. In addition if you complete a Project (5 points) and a few more Challenges throughout the session, you’ll qualify for the Challenge Plus Bronze Award (10 points).